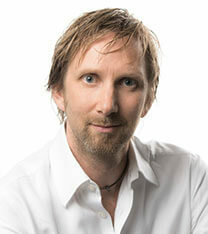 Chris Kohn is the Head of Performics Germany since 2013. Prior to joining Performics, Chris worked within the VivaKi network for now over 7 years. He has held other leading positions within the Publicis Groupe such as Head of Zed Digital, Digital Director Optimedia and Director of Digital Business Development for ZenithOptimedia Germany, Switzerland and Austria. In these roles he has developed skills in strategic thinking and systematic analysis combined with digital experience to help push the digital development for big advertisers like L’Oréal, Daimler or O2. Chris also spent 9 years studying and working as an architect in Dubai, China, the U.S. and in his homeland of Germany. He holds an MBA in Marketing. Chris is married, a father of two boys and enjoys most athletic activities, American muscle cars and throwing a good barbeque.